Typically, gutters are installed on buildings to prevent water from flowing off the roof and seeping into basements. 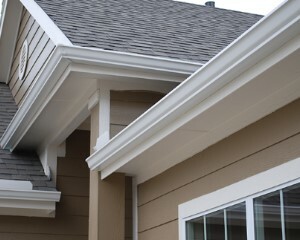 Gutters also prevent unsightly water from dripping off the roof edge. However, gutters can easily become filled with leaves, seeds, and other debris from nearby trees. When gutters are filled, water begins to shoot over the edge of the gutters, which can cause basement and structural damage. with water, checking to be sure that water flows freely. 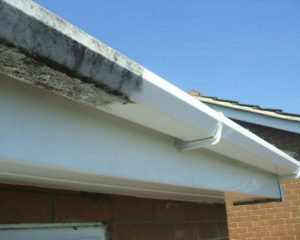 We also make sure that loose debris on the roof are removed to prevent additional buildup. 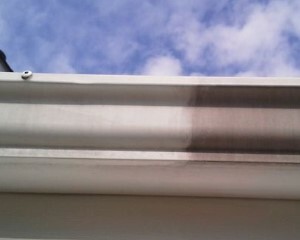 We have been the leader in high quality gutter cleaning and have the best prices in town. Call for a free, no-obligation estimate.